This entry was posted in Miscellaneous on July 31, 2017 . In our previous articles on Scrum we talked about what Scrum means and what are the main elements that define it. In this article we will focus on the Product Owner’s role. The Product Owner usually represents a group of people. He/she is the voice of the client. The PO takes the inputs on what the product should be and translates them into a product vision and a Product Backlog. we welcome changing requirements, event at later development stages. Agile processes harness change for the customer’s competitive advantage, so we maximize the value in the project. there is an internal learning loop, so we deliver working software frequently, from a couple of weeks to a couple of months, with a preference for the shorter timescale. the PO is a team member, so business people and developers must work together daily throughout the project. To continuously update the product backlog items in order to have on top of it the most important user stories. Authority: the PO should be the authority in the project. He/ she decides the release dates, the requirements and also accepts or not the work results. Knowledge: the PO should have a thorough knowledge of the market and the competition and also he/she must decide what brings more value to the product. Who’s going to buy, use and be impacted by this? What issues and challenges need to be solved? What must change in order to succeed? What strategic drivers are there? Is a strategic planning technique used to build products and to help organisations to synchronize their activities with the business objectives in order to make better roadmap decisions. This method facilitates collaboration and interaction and it allows the participation of people with different backgrounds helping organisations use the wisdom of crowds. Why? – this question is focusing on the goal of the product | Why are we doing this? Who? – at this level we decide who are the people involved, the actors | Who can produce the desired effect? Who can obstruct it? Who are the consumers or users of our product? Who will be impacted by it? How? 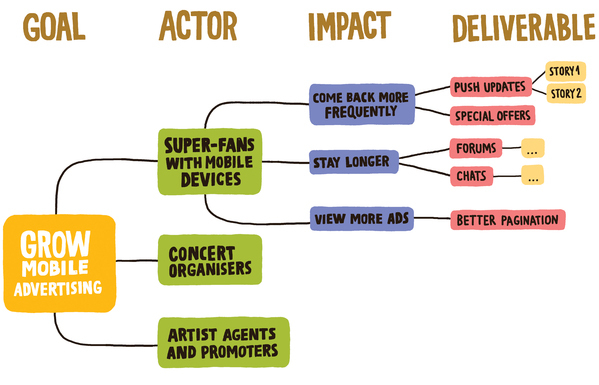 – the impact that we want to create | How should our actors’ behaviour change? How can they help us to achieve the goal? How can they obstruct or prevent us from succeeding? What? – we decide on the deliverables which are the software features | What can we do, as an organisation or a delivery team, to support the required impacts? 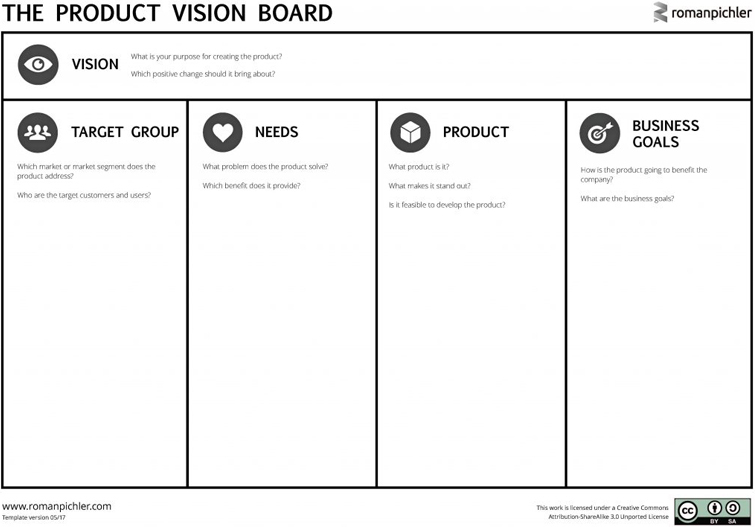 The Product Vision Board technique is used by the organisations in order to describe, visualise and validate the product vision and the strategy of it. This method focuses on the target group, users’ needs and the key features of the product, while keeping all of these aligned with the business goals. The extended version of this technique also describes other elements relevant to the business, like: competition, channels, cost factors, and risks. 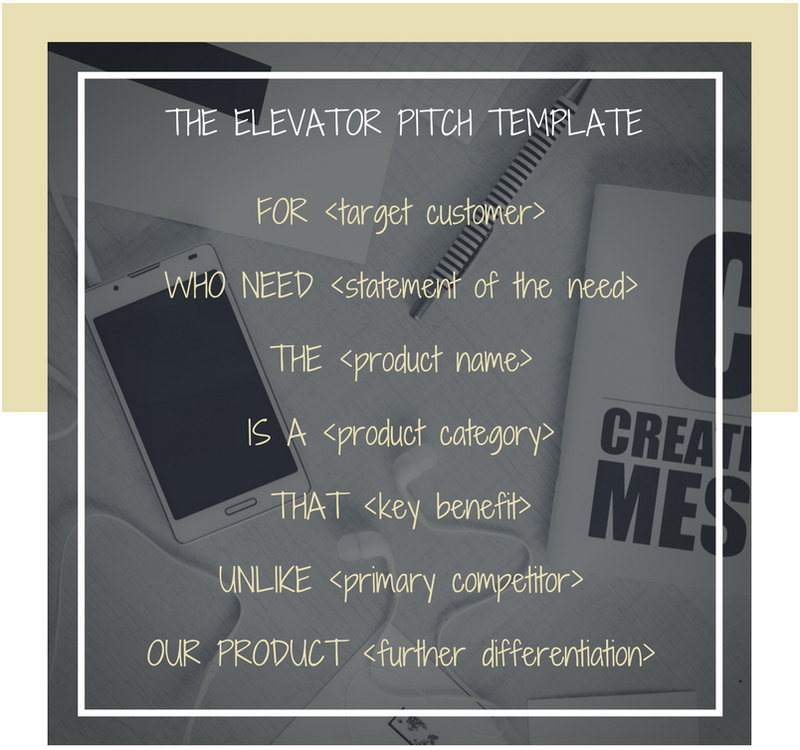 This method is a good way to organise our ideas in order to clarify them and to define what makes our product a successful solution. The main responsibility of the PO is to create the PB as an ordered list of functional and nonfunctional requirements that might be needed in the product. The Backlog should be granular, respect the DEEP principle and be continuously refined. Prioritised: the PBIs will be prioritised based on their business value . 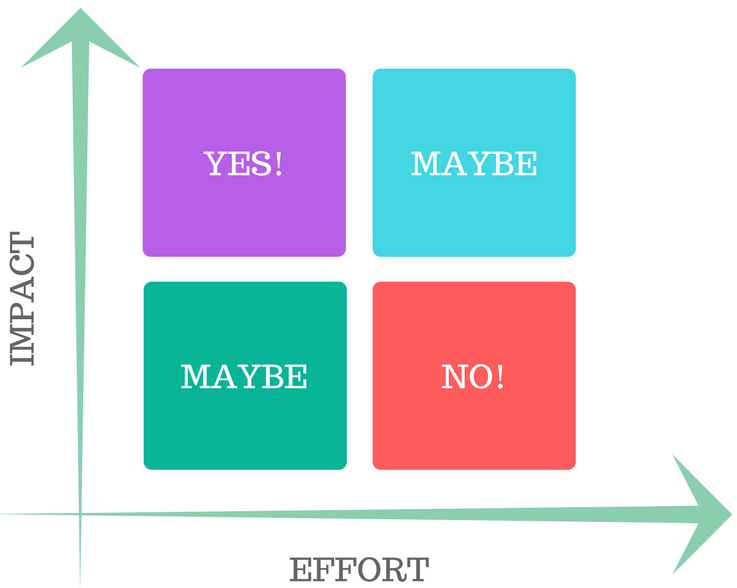 A way to decide the priorities could be to use the Impact/Effort Grid. In order to add more details to each User Story we could use Acceptance Criteria which is a set of rules used by the testers to create the tests and also by the developers to implement that functionality. A proper and easy way to define an Acceptance Criteria is the BDD format (Behavior Driven Development) which contains 3 key words: Given …. When …. Then…. As a user, I can cancel my reservation in case my plans change. Independent: if the stories are dependent then for sure we will have issues with the estimation and prioritisation. Negotiable: stories are not contracts so it implies that some flexibility will be needed. Valuable: to users or customers, not developers. Estimable: because plans are based on User Stories, we need to be able to estimate them. Sized appropriately: small enough to complete in one Sprint. Testable: so that we have an easy, binary way of knowing whether a story is finished or not. The PO has a lot of work to do and its role could determine the project’s success if he/she is always available to team and if he/she acts like a member of the team.